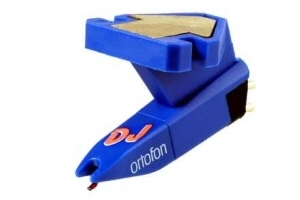 Ortofon Concorde DJ S OM is a solid-built cartridge in a blue nylon material. It has a fine spherical stylus and a special developed and extremely balanced cantilever. Not only does the cartridge have a most sufficient tracking ability, it is also nearly unbreakable and provides the DJ with the most-needed stringency. Furthermore, it equals very low record wear, an advantage for the busy DJ. The DJ S is definitely worth checking out and has rave reviews all over the world.